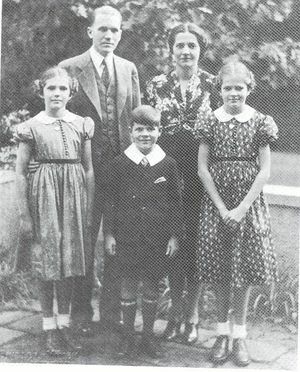 Wheeler with his wife and children (1936). Left to right is Dorothy, Harold, Alden, Ruth and Caroline. A native of Minnesota, Harold Alden Wheeler (IRE Associate, 1927; Member, 1928; and Fellow, 1935) was born in St. Paul on 10 May 1903. His family lived in Mitchell, South Dakota, for some years, then in Washington, D.C. He graduated in 1925 from George Washington University with the B.S. degree in Physics, and followed this with further studies at The Johns Hopkins University until 1928. 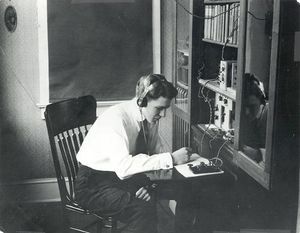 During his early college years, Wheeler also engaged in part-time work at the Radio Laboratory of the National Bureau of Standards. Following this, he became associated with Professor Hazeltine at Stevens Institute of Technology in the development of the Neutrodyne receiver, which came into general use in the mid-1920s. In 1924, he was one of the original employees of the Hazeltine Corporation. In 1925, Wheeler made the first receiver with diode automatic volume control and linear detector. This feature was rapidly adopted for general use. He was employed by the Hazeltine Corporation, Little Neck, New York, from 1924 to 1946, advancing to Vice President and Chief Consulting Engineer. From 1930 to 1939, he was in charge of the Hazeltine laboratory in Bayside, Long Island, engaged in the development of improvements in broadcast radio receivers for various manufacturers. From 1939, when the laboratory moved to Little Neck, Long Island, Wheeler was vice-president and chief consulting engineer. He was then concentrating on the problems of frequency modulation and television receivers. This work was recognized in 1940 by the Morris Liebmann Prize of the Institute of Radio Engineers. During World War II, his principal responsibility was radar IFF equipment for the Navy; for this work he received the Navy's Certificate of Commendation. Beginning in 1947, his principal occupation became President of Wheeler Laboratories, Inc., Great Neck, New York. The company was active in the development of microwave circuits and antennas, particularly for tracking and guidance radar in missile systems. The organization contributed particularly to the design of large phased-array antennas. In 1959, Wheeler's company became a subsidiary of Hazeltine Corporation, and he was elected a director and vice-president of the parent company, which was a major manufacturer of electronics equipment for military applications. Wheeler directed Hazeltine Corporation's Great Neck and Smithtown Laboratories, specializing in microwave and antennas. 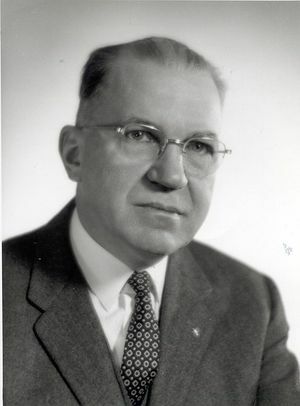 After 1950, Wheeler served the government in various capacities as an expert consultant, and then as a member of the Defense Science Board. In addition, in his forty years of activity in the radio engineering profession, Wheeler presented numerous scientific papers and published many articles in scientific periodicals, especially the Proceedings and Transactions of the IRE. He was awarded 180 U. S. patents and many foreign patents. In recognition of his inventions, he received one of the Modern Pioneer Awards from the National Association of Manufacturers in 1940. He is a member of Sigma Xi and Tau Beta Pi. He was awarded the IEEE Medal of Honor in 1964, "for his analyses of the fundamental limitations on the resolution in television systems and on wideband amplifiers, and for his basic contributions to the theory and development of antennas, microwave elements, circuits, and receivers." A member of the Institute of Radio Engineers since 1927, Wheeler was promoted to Fellow in 1935, and a member of the Board of Directors in 1934 and again from 1940 to 1945. He was also promoted to Fellow in the American Institute of Electrical Engineers in 1946. He was the second chairman of the IRE Long Island Section, an Associate Member of the IEE, a Fellow of the Radio Club of America, and a member of Sigma Xi and Tau Beta Pi. Wheeler passed away on 25 April 1996 in Ventura, California. This page was last edited on 27 July 2018, at 16:53.